GG Network | Mythical March: Unpacking Magic The Gathering Arena’s Biggest Update Yet! Mythical March: Unpacking Magic The Gathering Arena’s Biggest Update Yet! Since its launch last year, Magic the Gathering Arena has evolved and grown to provide the ideal Magic The Gathering experience, making it the platform of choice for many Digital MTG players. This week the MTG Arena released they’re biggest update yet featuring many stylistic choices from new avatars, to car sleeves and more! Here’s everything included in the Mythical March Update! Card styles allow players to change how the front of their card will look. For this update MTGA is adding an MTG Arena exclusive style, that combines a parallax effect with extended artw! You can also view and sort through which cards have new card styles through the new filter option in the in game deck builder! Clicking on the card style will also show how the it can be aquired whether through bundles, seasonal rewards, play, or purchase through the deck builder. The best part is, once the card style is unlocked, it unlocks for every copy of that card illustration in your collection! You can also input the code: starterstyles at the Store to unlock 6 free card styles and 1 exclusive MTG Arena Card sleeve. They’ve done it! they’ve actually put card sleeves in Magic The Gathering Arena! Sleeves will give a stylish new card back to show off to your friends and opponents repping your favorite guilds! Card Sleeves will also be available via the deck builder page by clicking on your deck box and choosing which one to use from the available choices. At the moment, the choices are just simple sleeves from the 10 Ravnica Guilds, the special MTG Arena Sleeve from the code above and a surprisingly enough, a sleeve design based on the Sol Ring, a popular card in the Commander format. Is this a sign that we might be getting some form of Commander in Arena? There are two new avatars for MTG Arena! Fan favorite planeswalkers, Huatli and Angrath from Ixalan have returned (they were previously in the Closed Beta) along with the ten guild leaders from Ravnica. Huatli and Angrath will be available for for 3000 gold or 500 gems each, while the Guild Leaders will only be available in the Guild Bundles. Guild bundles are special offers that will put together Ravnica Guild-themed, exclusive Card Styles, Sleeves and Avatars that will only be available through the purchase of a bundle. Each will cost a healthy sum of 3000 gems so players interested in rocking their Guild color will definitely put need to put the grind in Arena’s various events. There’s also a new Practice mode that caters to some of the newer players in MTG Arena. This will offer players new to the game a lighter, worry-free place to learn and experience it and all its complexities. Practice mode is also completely separate from the game’s New Player Experience which teaches you the very basics of Magic the Gathering then throws you off into the cold, harsh plane of Standard to fend for your own. The MTG Arena Team stated that admittedly this “isn’t always the easiest way to learn” hence, the birth of the new Practice mode. In addition to all Practice Mode and the Tutorial, the New Player Experience will now also have a new system called Mastering Magic which kind of resembles the sphere grid system in Final Fantasy X. The new system will teach new players how each of the Magic the Gathering’s five colors play and operate giving a more holistic and flavorful outlook on the complexities of each color. MTG Arena has also announced a new event called Treasure Constructed. In the game mode, you create an artifact Treasure token, at each of your upkeeps, which you can sacrifice to create one mana of any color. The event will also have no entry fee and players can enter as much as they like. Players can enter any deck that they have existing or brew a special one for the event. Players who get one or more wins before two match losses will receive a card style for Skewer the Critics. Players who will get to five wins before two losses, will receive a card style for both Skewer the Critics and Chemister’s Insight. 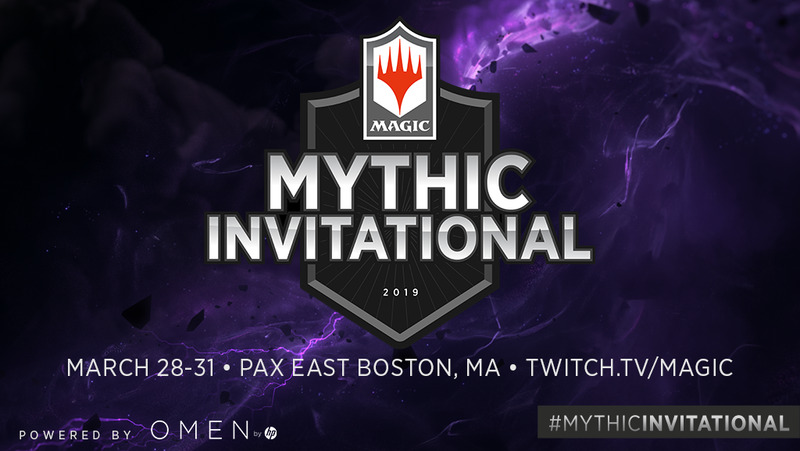 Probably the biggest announcement in MTG Arena is that the first ever 1, 000, 000 USD tournament, Mythic Invitational will take place at PAX East! The Mythic Invitational be streaming on twitch.tv/magic beginning at 10 a.m. ET on Thursday, so be sure to tune in to watch some of your favorite streamers and eight Challengers from MTG Arena—and the entire Magic Pro League—compete for their share of the $1 million prize pool! Which Guild will you be reppin’ in MTG Arena? Let us know in the comments below or on the GG Network Facebook page! For more MTG Arena Content, check out our preview of MTG Arena when it came out!